The CW’s annual superhero crossover events are always interesting if only because they’re an opportunity for all of the network’s characters to get together and bring things out in one another that we don’t typically see in them. The biggest switch up at the heart of this year’s Elseworlds is obviously the Flash and the Green Arrow swapping identities. 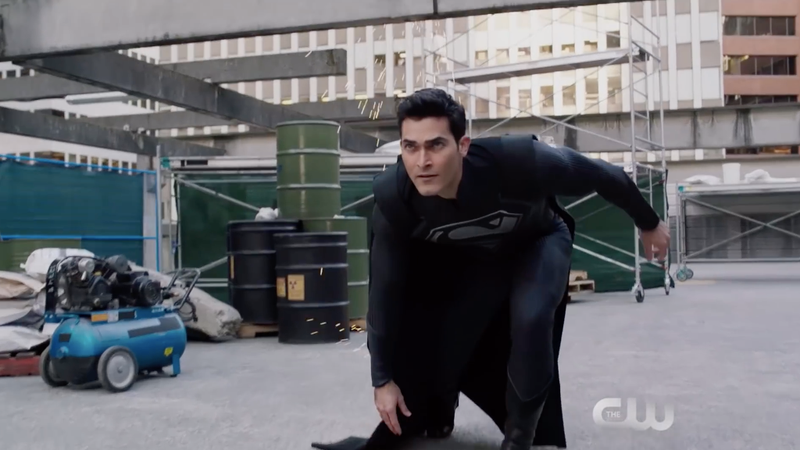 But in the latest trailer, we get our first look at Superman sporting his classic black costume, which might have a very particular significance to it. On the Earth where the heroes find themselves, the Monitor’s tinkering with reality has resulted in Barry and Oliver trading identities and Batwoman to rise to power in Gotham City because of Batman’s longstanding absence. The curious thing about Clark’s black duds is the implication that, like in the comics, he begins wearing it after dying in his epic battle against Doomsday and coming back to life. It’s unlikely that Elseworlds will actually spend too much time focused on Superman’s death, but it’s the kind of introduction to an important part of Superman’s lore that makes the entirety of the DC/CW-verse that much richer. The three-night Elseworlds event begins Sunday, December 9.